An elven character illustration for the Shadowrun roleplaying game setting. A valuable street contact. 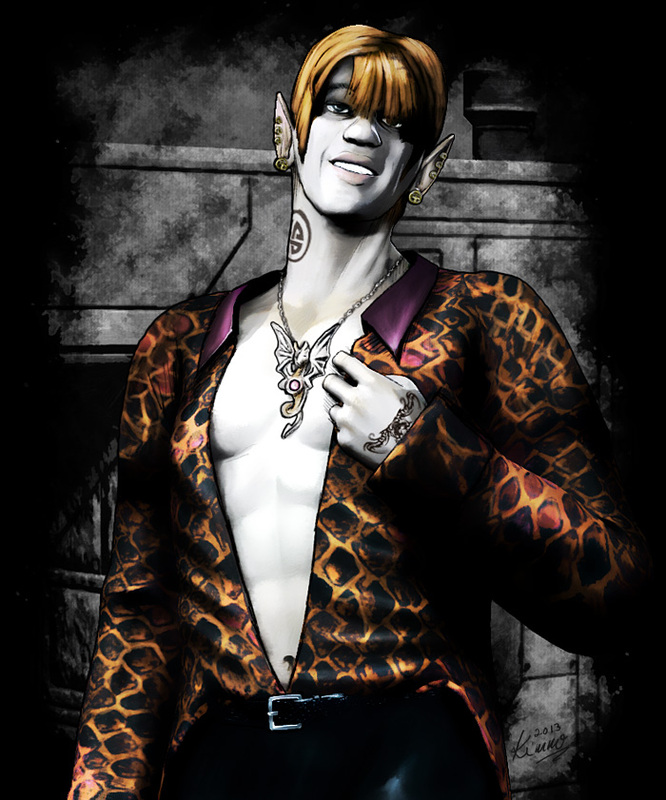 Yvain is a male prostitute who is very closely attached to the often criminal undercurrents of night life in the streets. He is an invaluable source of street info.